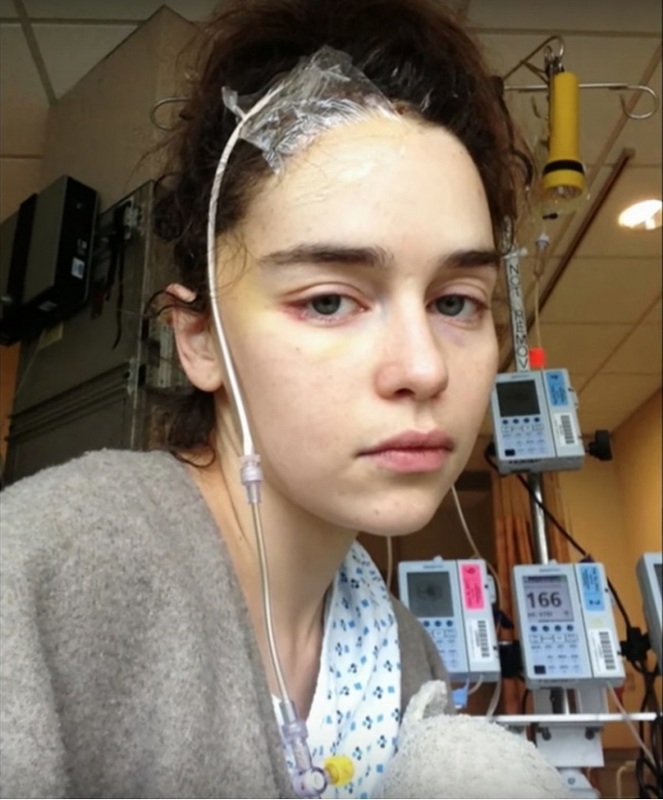 The Game of Thrones star Emilia Clarke has revealed photos of herself after brain surgery. Emilia suffered a subarachnoid hemorrhage, or bleeding in the space that surrounds the brain. Two years after that, Emilia was back in the hospital with another aneurysm—and this time, it almost killed her, she said. 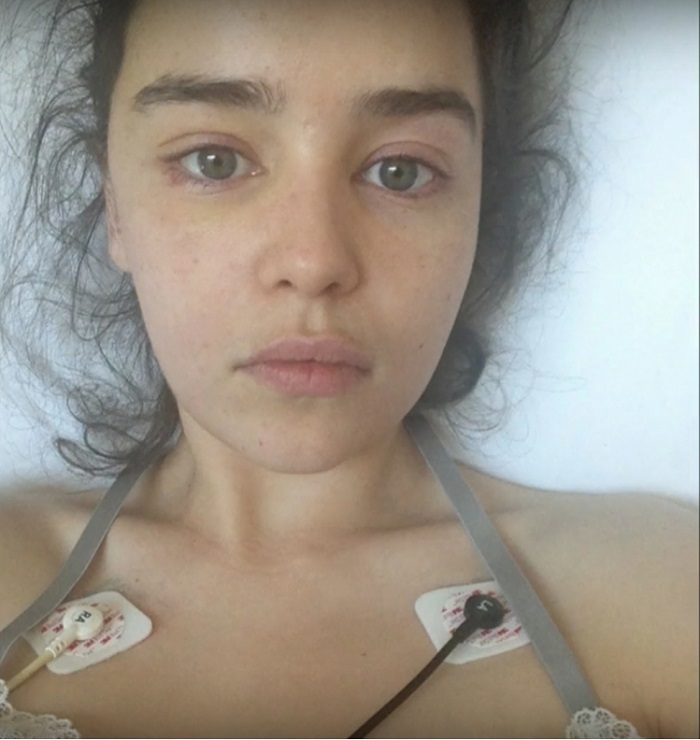 The photos captured Emilia emaciated and pale. Clark has undergone two brain surgeries, however she continued the shootings.